The Magellan Robotic System is in itself an excellent addition to the surgical world because of the ease and convenience it brings to numerous hospitals. The Magellan™ Robotic System eases peripheral vessels using state of the art modern technology aimed towards delivering simultaneous distal tip using a catheter and a sheath. This is done from a centralized, remote workstation. The benefits of the Magellan System have been seen for its help in minimizing vessel trauma during surgery compared to manual techniques. The system has been conceptualized and designed in such a manner that would make a cutting edge impact and in robotically stabilizing conduits for the placement and delivery of medical devices. The result has become a revolutionized peripheral vascular intervention for the benefit of patients. But what is the Magellan Robotic System really? 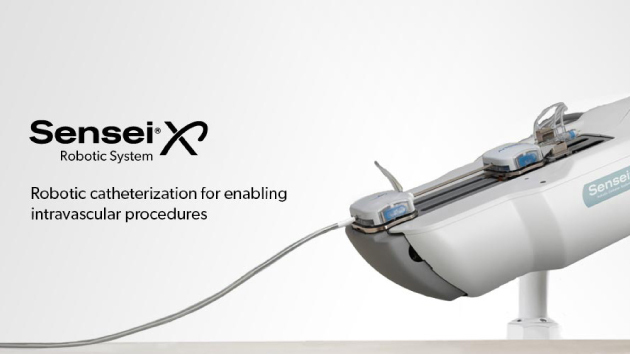 The Magellan robotic system is a flexible robotic technology that takes advantage of its Sensei X robotic catheter system, sold throughout the US and Europe. The Magellan system boasts of its enhancements such as solid catheter stability for placement of therapeutic devices. The Magellan system also works to preserve the open architecture featured in the Sensei X system which will eventually give way towards subsequent use of many commercially available 6-F therapeutic devices. Nod from DFA and other Accrediting Agencies WorldwideAs a welcoming guarantee for the use, just recently, the Hansen Magellan Robot System has received the approval from the Food and Drug Administration (FDA) for commercial manufacturing and distribution. Specifically, the company has been granted a 510(k) clearance for the system and for its catheter and accessories. According to one source, the company immediately started commercially selling the products at selected centers in the United States, although full launch will occur later in 2012. Furthermore, the Magellan system has been granted a CE Mark approval in 2012 and was launched in the European Union. The system has been approved in Australia while its application is pending in Canada. The BrainGate Neural Interface System is helping people who suffer from paralysis to cope. The Paro, a non-surgical animal robot, helps aid patients with dementia.